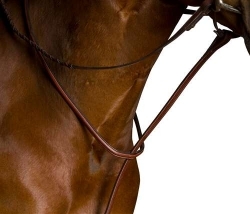 A great looking Flat Martingale with standing martingale style which coordinates with all Kincade bridles and saddles. With Kincade's extensive variety of equestrian products it is easy to find just the equipment you need at the price you want. The Kincade line of matching bridlework and accessories offers the perfect combination of quality and price.